Gael Monfils rebounded from a poor 2013 season -- he fell outside of the top 100 after injury woes -- to get himself back in the top 20 with a year-end No. 18 ranking. Monfils playing well is an absolute boon to the sport. More match wins means he has more opportunities to take the court in front of the cameras to show off his unparalleled athleticism and shot-making skills. His competitive relevance is a game-changer and makes the sport look fun and dynamic. Our post on the best ATP shots and points of the 2014 season could have including all of the shots below, so we decided that La Monf deserved his own seasonal highlight reel -- not only out of fairness to him but also to his colleagues. Against Alejandro Gonzalez at the U.S. Open, this was so casual, so non-chalant, so...ill-advised. The French weren't victorious at this year's Davis Cup Final, but Monfils made sure to show off his skills. As you do. Patrolling the net and showing some deft touch in Paris. The fact is, if Monfils were an efficient mover he would never find himself in the position to make these dazzling plays. He could not be contained against Novak Djokovic in Toronto. Monfils at his best against Juan Martin del Potro. Monfils was in his element. His crazy shotmaking in his own words. Did we miss your favorite shot or point of the year? 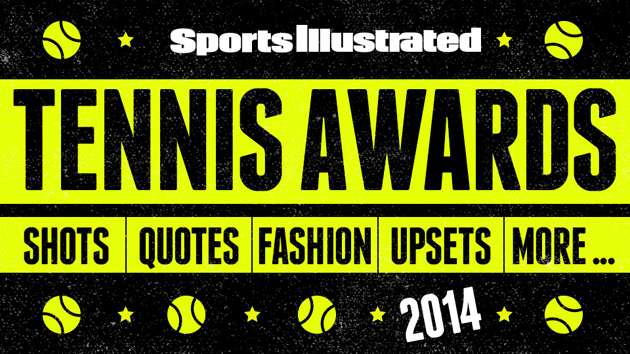 Post your favorites in the comments or tweet us @SI_Tennis for a chance to make our Best of Reader Submissions list.